Short term disability laws are not in effect in all states, but Oklahoma does recognize some that you may need to utilize at some point during your career. Understanding your rights and eligibility as an employee is important in the event of an unavoidable situation that causes you to miss work. Oklahoma short term disability laws are part of the 1992 Family Medical Leave Act (FMLA) which gives job protection to employees who need medical attention due to an injury or illness, or if they need to care for a family member. The Act states that employers cannot terminate or retaliate against employees who need this kind of assistance. FMLA does not guarantee full salary but it does protect employees who need to take time off work to care for spouses or children or due to illness or injury to themselves. Employees are entitled to maintain their full medical benefits. Oklahoma short term disability laws state that an employee must have worked for a company for at least 12 months and 1,250 work clock hours in order to be eligible for short term disability. 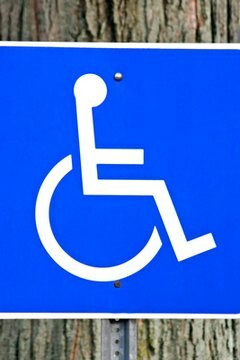 Oklahoma law states that an employee cannot be a "key" employee to be eligible for short term disability. Generally, this means the individual holds a primary managerial position or serves as other vital support staff who cannot be reasonably replaced by other employees or temporary workers. Under Oklahoma's short term disability laws, an individual is entitled to receive reasonable accommodation for any illness or injury that may interfere with work. This can include, but is not limited to, anything that the employee or the employee's doctor deems necessary in order to protect the health and wellness of the employee. For example, if you experienced a back injury, you may request a new ergonomic office chair to alleviate pain or discomfort during the workday as long as the chair is within a reasonable price range for your employer. Oklahoma's short term disability laws state that an individual may receive benefits and compensation for a short period of time if he is unable to work due to injury or illness. Under some circumstances, an individual may only receive 50 percent of his full salary, so these considerations should be discussed with a worker's compensation expert. Depending upon your injury or illness, you may qualify for temporary total disability, which is the most common type. It pays between 75 and 80 percent of an employee's net pay. Temporary partial disability pays an employee 100 percent of his net pay until the condition or injury is determined to be healed by a doctor. Mosley, Sterlin. "Short Term Disability Laws in Oklahoma." , https://legalbeagle.com/6692264-short-term-disability-laws-oklahoma.html. 15 March 2019.